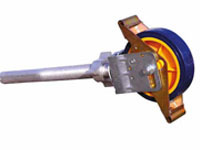 Wheels 20 cm with Dual Pedal foot operating Brake and adjustable jack vertically 30 cm to be adjusted where the ground is uneven. 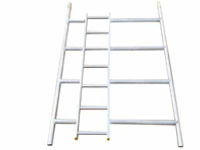 Seven Step industrial ladder in ladder frames with 28 cm easy climb rung spacing, welded to the frame. 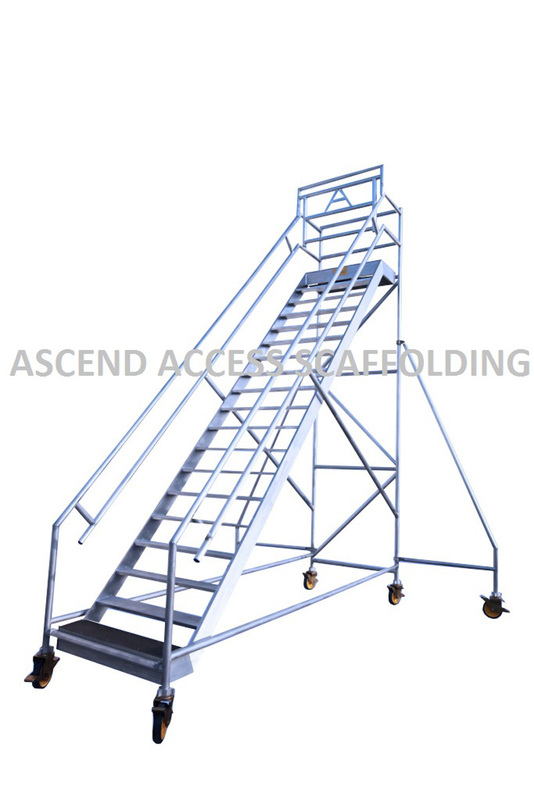 Work platform is made of Anti-slip plywood. 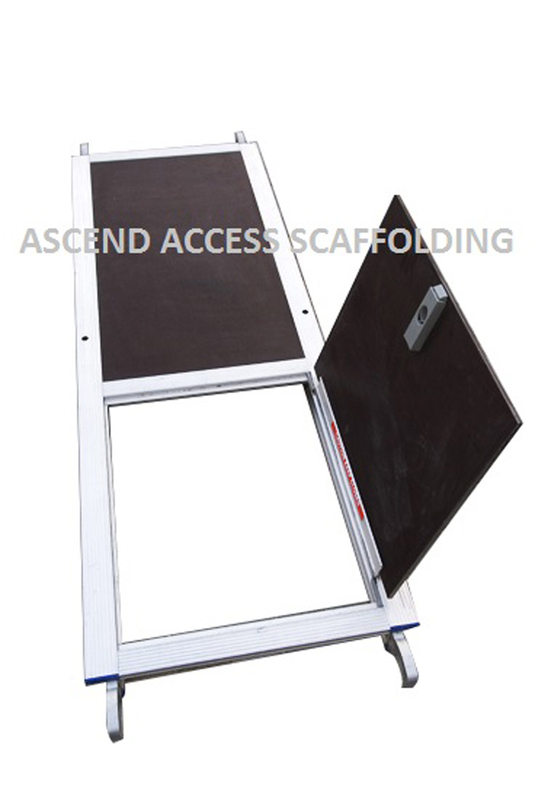 It is made of Aluminium frames all around the plywood for correct fitting of toe board. 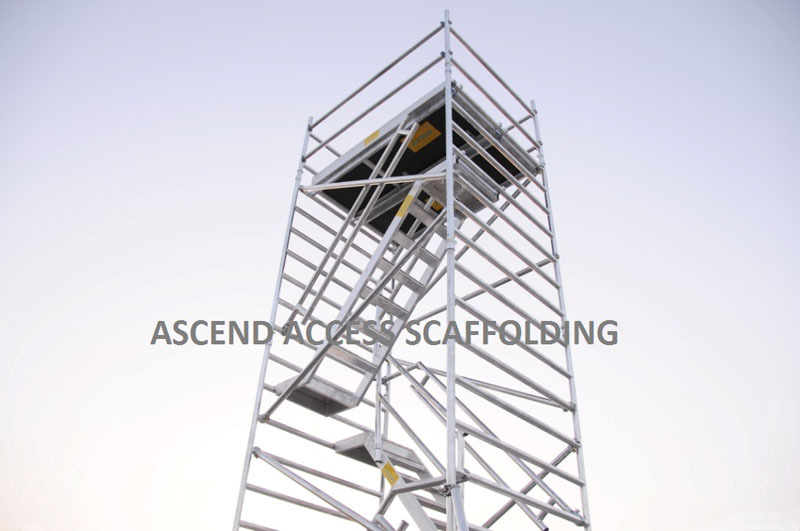 Platform has windlock safety system to hold the tower from accidental lift. 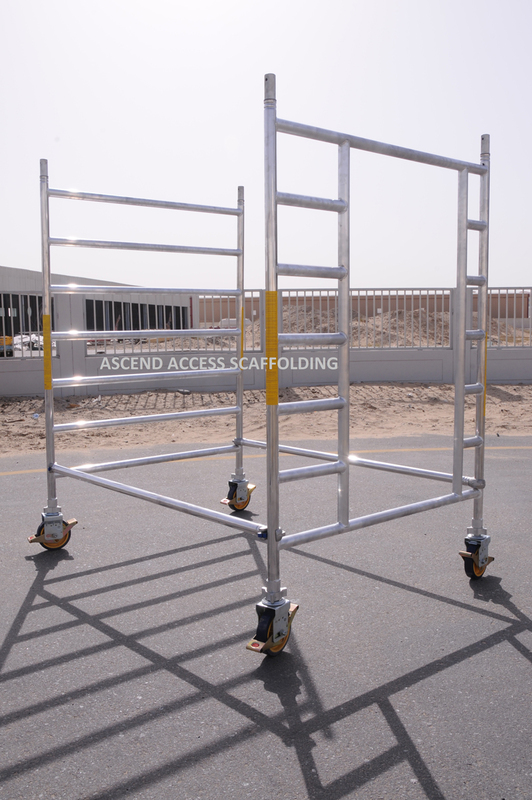 Safety : The various scaffolds meet the current European regulation. 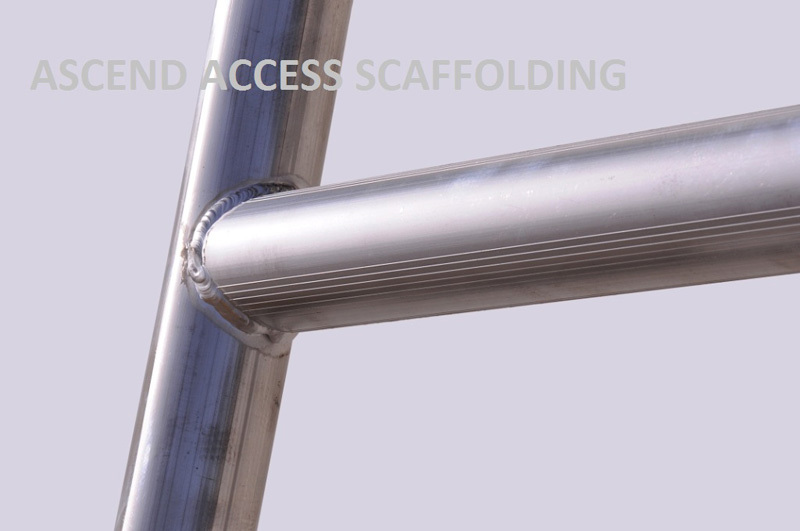 Aluminium self locking hooks that fits automatically onto the rungs, the shapes gives more than 220 degree cover area for a perfectly Stable Scaffold tower. 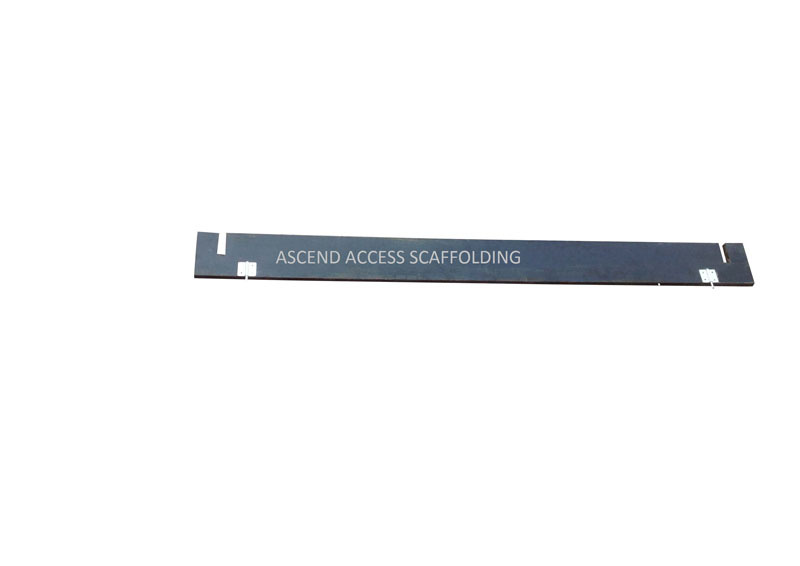 The hook edge is strengthen to make it shock resistant. 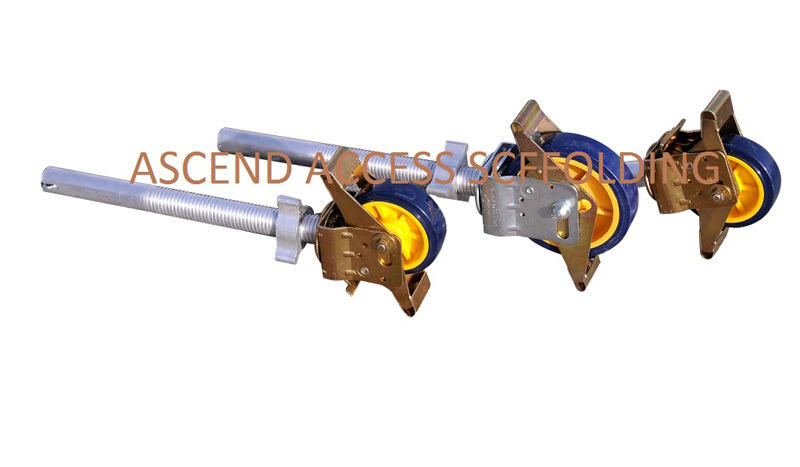 Crimping of Brace - All side Crimping to resist tension and torque loads. 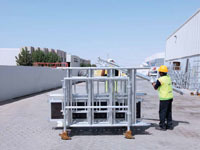 Transportation and handling cost is reduced because of their light weight. 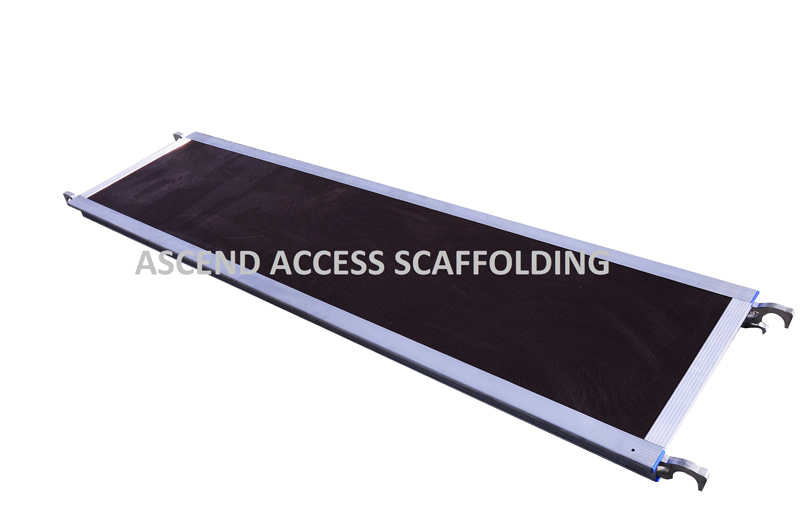 It can be assembled very quickly as it is made of light weight Aluminium alloy. 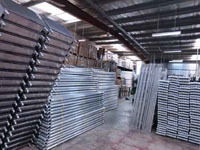 The Material can not be corroded as this is rust proof. 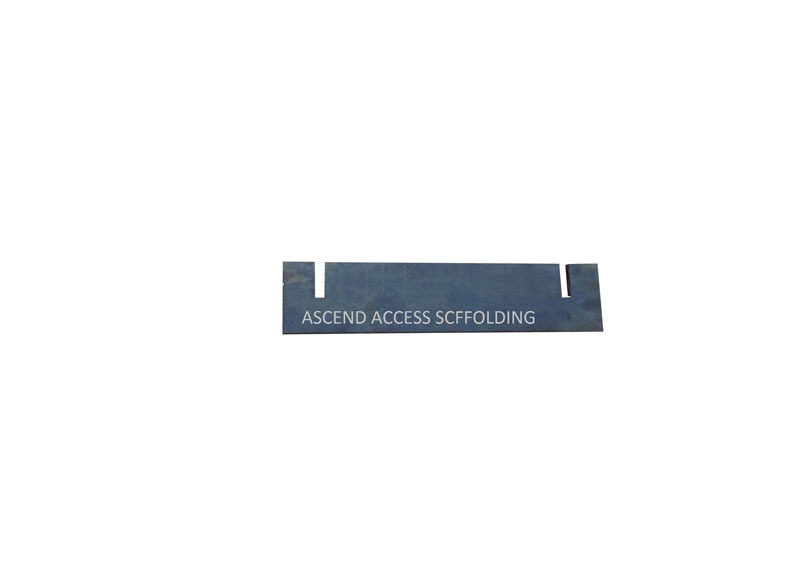 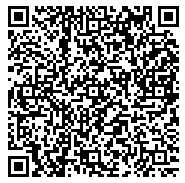 Produces very high quality Weld finish. 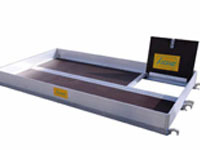 Provides precise control of welding variable heat via amperage controls. 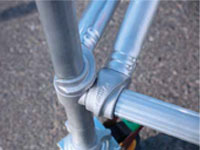 Leave no slag or splatter, leaving the weld and surrounding metal clean.